What was already a great mod, the Presa has undergone a facelift and not only. The mod not only looks different but is a huge upgrade in hardware, as well. With more power, precision, and customizations, there is something for everybody to love in this unique box mod. The first thing many new users will recognize that is different is the unique shape. It is a box mod that looks curvy rather than boxy. It is ergonomically shaped to fit snugly in the palm. The big fire button located in the front can be pressed from multiple hand positions. Added power also comes with the new version, but not at the expense of its compact size. It is only marginally larger than its predecessors. 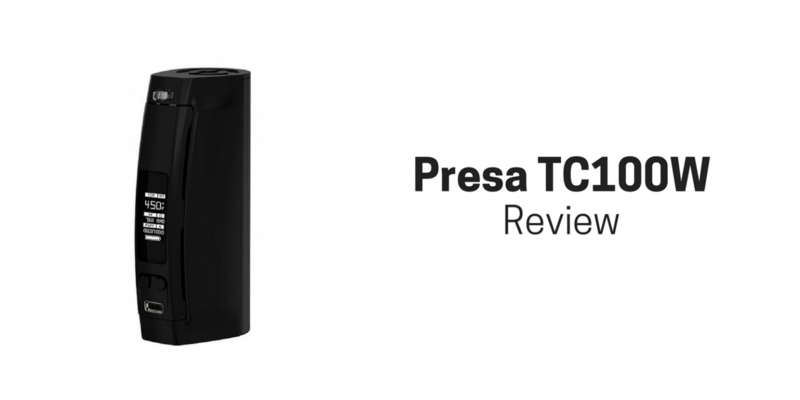 What is new with the Presa TC 100W? How Does The Wismec Presa 100W TC Work? How does the Presa 100W compare to the competition? Is the Presa 100W Worth It? The first difference is the TCR mode feature, which allows the user to manually adjust values for different kinds of wires in the coil. Advanced users can use this mode for more accuracy since it can sense the true temperature of the atomizer and has a bypass mode. 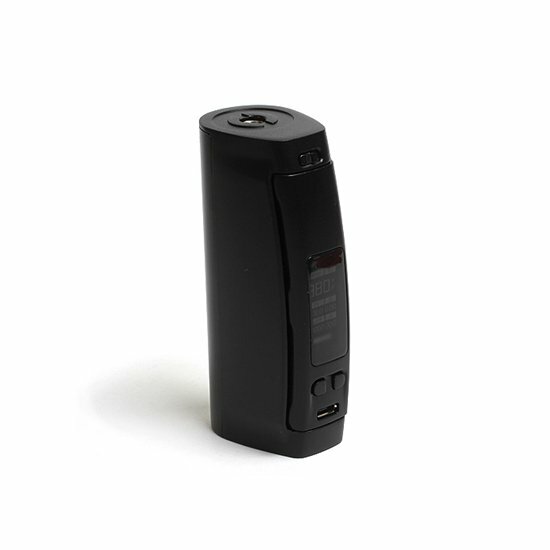 It can vape at power up to 100W with a 26650 battery. 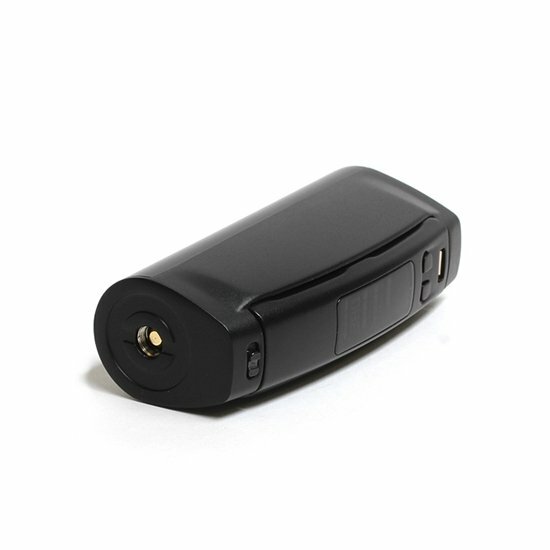 For users that only have the 18650 cell, it comes equipped with a sleeve to make it compatible. Even with the lower power, it still can vape up to a respectable 75W. The OLED screen shows the Mode (VW, Bypass, TC, TCR), Wire Type (Ni, Ti, SS), Wattage (1w to 100w), Temperature (°C, °F), Voltage/Wattage and Ohms and conveniently, Puff Counter/Total Vape Time/Printed Circuit Board Temperature. It’s easy to read and scrolling to set preferences is very quick. For everybody else, scrolling through the menu can set preferences for just about every type of e-liquid with the right temperature and wattage. This versatility makes for a great vape for every style of vaper. Wismec recommends the Inde Duo 30mm atomizer for best results, but any atomizer with a 510 thread connection will work. 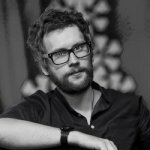 There is a lot to understand when using bypass mode, so it really should be just left to advanced users to try it out. The Presa does have some circuitry that will provide protection, but it takes experience to know what the limits of a particular coil are. Once a user knows how to properly use bypass mode, then they can use a wide variety of atomizers with different resistance, coil types and wire sizes, to maximize flavor and vapor production. Vaporesso Nebula 100W TC – Very similar to the Presa, but lacking the ability to really fine tune the settings. Tesla Two 100W – All the power that the Presa has, but very little in the way of settings. This is a basic unregulated mod. For advanced users, the ability to accurately pin-point the right temperature, wattage and TCR for the type of coil makes this one of the best box mods, which also doubles as a mechanical mod, make it a must-have. Beginners may not be able to use all of the features and customizations at first, but with time and gradual learning the ins and outs of vaping, will eventually be able to grow into using this mod.